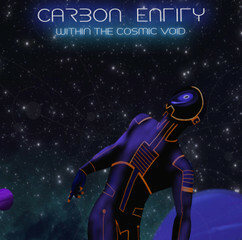 I would like to introduce my debut project Carbon Entity - Within The Cosmic Void. A full length ambient space music journey into the deeper corners of the cosmos. Utilizing electronic drones and synthesizer to create an atmosphere of textural and minimalist space music. You can listen to the full album on the Zen Gate Music Bandcamp page as well as purchase the music to help support the artist. I also invite anyone reviewing music or d.j. 's to inquire for promotional material. Just listening via BC. Very nice - well done! Very nice work. This will be on my acquisition list. I know this website/forum has much good music so a positive comment/s means I am steering the proverbial boat in the correct direction. Beautiful melody. Evokes images of 2001 Space Odyssey. Perfect! That was the sphere of soundscape I was focusing on when creating the music for the release. Thank you for the feedback.